Occupying an interdisciplinary space between Biology, Chemistry, and Engineering, Biotechnology studies how living systems can manufacture products for human use. In a broad sense, humans have used biotechnology ever since they began to domesticate animals and plants for their use. But in the modern world laboratory-based techniques such as genetic engineering and tissue culturing have become increasingly important, producing dramatic new innovations. 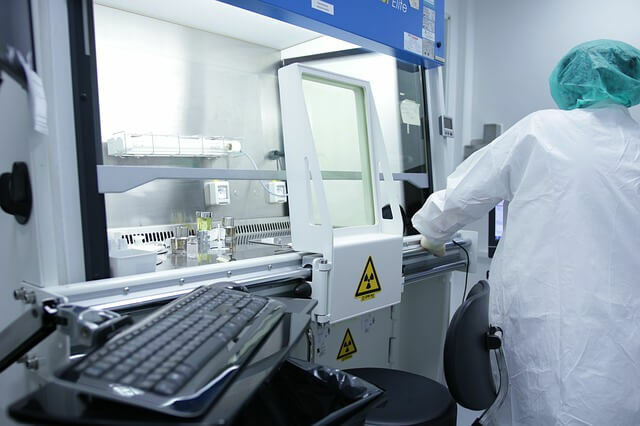 Given its potential, biotechnology also has also attracted the attention of Philosophy, specifically with respect to the ethical questions it raises. Those seeking a Masters in Biotechnology are required to have an undergraduate background in the life or medical sciences. Like Chemistry, Biotechnology has a wide variety of industrial applications, and as such, many of those who graduate with a Masters (MSc) in Biotechnology seek employment in research and development in the pharmaceutical, agribusiness, and food industries. Some Biotechnology courses offer business-oriented modules to reflect this. Further opportunities exist in teaching and academic research.